Provide comfort for the family of Bryan Kirst with a meaningful gesture of sympathy. 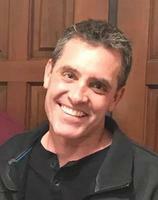 Bryan Tyler Kirst, 44, of Missoula, passed away on April 1, 2019 in a car accident in Fullerton, CA. Bryan was born on March 4th, 1975 in Harbor City, CA to Jeff and Linda Kirst. His grandpa Ray always said his birthday was the only date that was also a command. Bryan grew up in Encinitas, CA. He loved everything about it- the beach, skateboarding, rollerblading, hacky sack and alternately teasing and protecting his younger sister Jamie. He attended countless rock concerts with his friends. He attended San Dieguito High School and Palomar Community College. His employment success steered him away from finishing his degree at the time, and he was making plans to return to school in the months prior to his passing. In the summer of 1998, he made a cross-country road trip to Boston, MA with his childhood best friends, where they lived the bachelor life. It was in Boston that he met his future wife Erika. In May 2002 they drove the entire length of I-90 from Boston to Seattle, then to San Diego. Once they unpacked the car and the cat, they eloped in Las Vegas on May 23, 2002. Bryan enjoyed hiking, music, gardening, painting and drawing. He constantly created art. The first flower he gave to his wife was a shaped out of a coat hanger. It came to be expected that Bryan would make hats out of folded paper at holiday gatherings. For family movie nights, he made paper towel popcorn bowls so that each child had their own stash. He was an excellent cook, and his favorite spice was bacon. He was appreciated by friends, family and co-workers for his unending ability to make others laugh. He is survived by his wife Erika and their three children: Zachary, Alexander and Zoe. Also his parents Jeff and Linda Kirst of Encinitas, CA; his sister Jamie (Greg) Foley and their three sons of San Marcos, CA; as well as aunts, uncles and cousins from California to North Carolina. A Celebration of Life will be held in Missoula at 2pm on Sunday, April 14th at Garden City Funeral Home. The Celebration will be followed by a reception on-site with food and story swapping. Another Celebration of Life will be held in California in summer 2019. To send flowers in memory of Bryan Kirst, please visit our Heartfelt Sympathies Store.